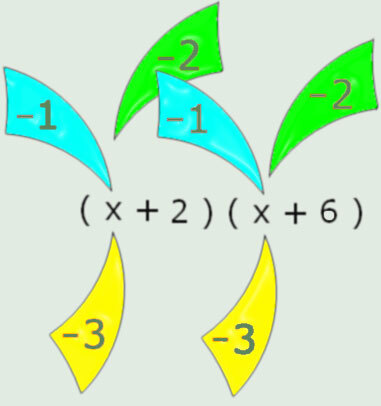 If you substitute $-1$, $-2$ or $-3$, into an algebraic expression you'll get three results. Is it possible to tell in advance which of those three substitutions will produce the greatest result and which will produce the least ? Substitute $-1$, $-2$ and $-3$ into $(x + 2)(x + 6)$ here, and see what you get. Now can you predict for these ? Mathematical modelling. Graphs. Quadratic functions. Positive-negative numbers. Spreadsheets. Graph plotters. Transformation of functions. Experimental probability. Random variables. Inequalities.